The Skandion Clinic welcomes Nordic professionals with an interest in particle therapy to a workshop aiming at improving the Nordic collaboration. The meeting will be held from lunch to lunch on 14-15 November 2019 in Uppsala. We need your help to put together a really interesting and interactive program. When you fill in the registration form please choose three workshops you want to take part in. We can´t ensure your choices is in the final program, but your suggestions will help us with the planning. 1.000 SEK – The price includes lunches, coffee breaks and dinner. If you want to book a room at Hotel von Kraemer, adjacent to the clinic, please use the link: https://hotelvonkraemer.nitesoft.se and the booking code NCW2019. BNCT and protons – rivals or partners? 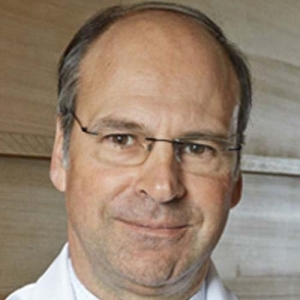 Medical Director of the proton clinic at Paul Scherrer Institute (PSI), Villigen, Switzerland. One of the organisers of the European Particle Therapy Network (EPTN), a task force of ESTRO. Leader of the radiation therapy group of the European Organization for Research and Treatment of Cancer (EORTC).